The number of U.S. troops deployed to Afghanistan was higher than what Americans were being told. This was caused by a tweak in how troop levels were counted, which omitted U.S. forces on temporary missions. Defense Secretary James Mattis revised and simplified this system, and on Aug. 30 the Department of Defense (DOD) revealed this shift. In November 2016, the Obama administration set troop levels in Afghanistan to 8,448, and the DOD has typically described troop levels at close to 8,400—with some complex exceptions, explained Lt. Gen. Kenneth McKenzie during the briefing, according to a DOD transcript. The new methodology, however, reveals the number of troops in Afghanistan is closer to 11,000. Pentagon Chief Spokesperson Dana W. White said that while the previous method “supported operational security” it also impacted U.S. operations and was not transparent to the public. “Often, commanders were compelled to reduce the sizes of deploying units in order to meet theater force management levels and limit the time that units could remain in operational theaters,” White said. “With this change, we will balance informing the American people, maintaining operational security and denying the enemy any advantage,” White said. White noted that the DOD is reviewing similar force management practices in Iraq and Syria—suggesting that U.S. operations in both countries may also reveal different troop levels than what has been previously revealed. 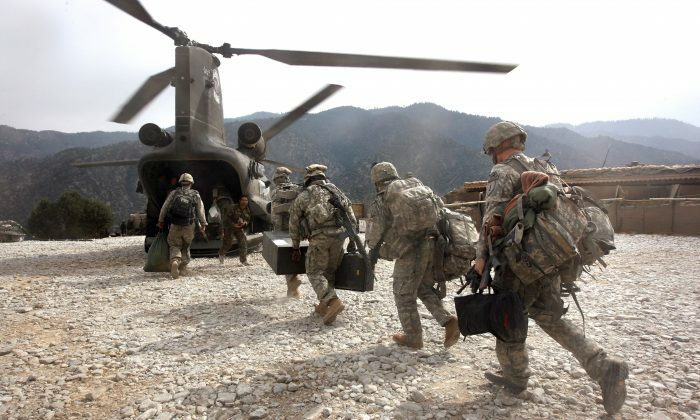 The new method for estimating troop levels in Afghanistan includes the often uncounted forces on temporary missions with the number of troops at the force management level. This change could mean that the U.S. mission in Afghanistan could maintain the same troop levels, but possibly use fewer temporary forces. It is still unclear, however, whether this will affect how troops are deployed. The announcement follows a recent overview by President Donald Trump of the U.S. strategy for the war in Afghanistan, which he described during an Aug. 21 speech at Fort Myer in Virginia. Trump noted that he doesn’t want to repeat the Obama administration’s hasty withdrawal from Iraq in 2011, which created a power vacuum that led to parts of the country being seized by ISIS.